HELL'S KITCHEN — A long-vacant building on 10th Avenue with a storied past will finally get a tenant in November when a new gymnastics and dance studio plans to open there. The building at 766 10th Ave., which abuts the schoolyard at P.S. 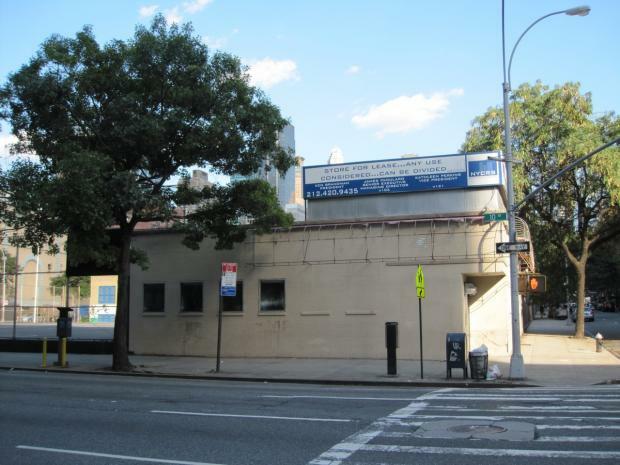 111 near West 52nd Street, will soon become Bounce and Flip, a gymnastics, tumbling and dance studio aimed at kids. The project is the brainchild of Edward Matthews, a former gymnastics instructor for the Chicago Parks District with more than 20 years experience teaching the sport. "I believe the community can benefit just as I did from the sport of gymnastics," Matthews said. "The discipline, the focus, the drive to succeed in life — as well as the fact that it promotes a health lifestyle." The space was previously home to J & N Record Store before sitting empty for four years. The building's landlord, Croman Realty, hoped to get roughly $35,000 a month in rent from a profitable nightlife establishment. The address was thrust in the spotlight earlier this year when gay sports bar Boxers planned to open a second location there, galvanizing hundreds of residents to speak out against the idea. Residents successfully argued before the State Liquor Authority that the location, immediately adjacent to a schoolyard, was an inappropriate place for any bar. The authority ruled in February that no liquor-serving establishment could ever open in the space. Bounce and Flip will offer beginner, intermediate and advanced classes from preschoolers, school-age children and adults, along with birthday parties and private events on the weekends. The spot will be stocked with plenty of gymnastics equipment, including a tumble track, foam pit, Olympic training equipment and tons of mats. Matthews said renovations on the building's interior have already begun. He declined to discuss what sort of rent he will pay for the space, but noted he "worked out a deal that is beneficial to both myself and the landlord." Matthews added that he also reached out to P.S. 111's parent-teacher association to arrange some community classes for students. "We're definitely looking to give back to the community," he said.